you can now search the millions of photographs from the LIFE magazine photo archive through google images. it's pretty awesome. Artist Gene Davis putting finishing touches on his 414-ft-long ptg. 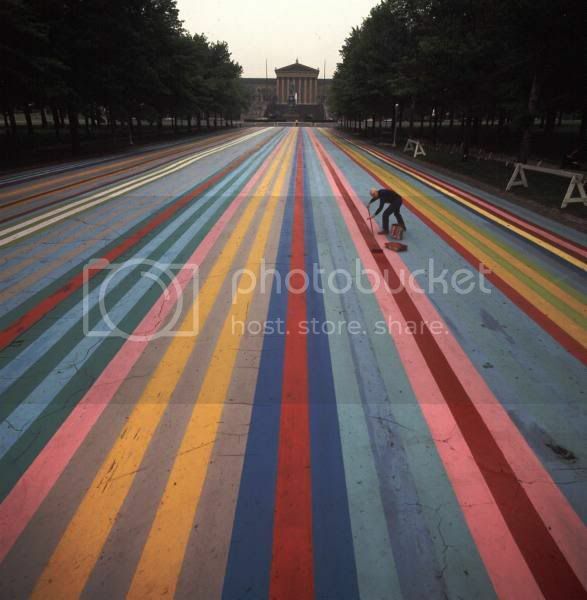 "Franklin's Footpath," painted on street in front of Philadelphia Museum of Art. Now that's useful. Love this picture. It's like leaving the shutter open to catch the movement of traffic at night. But not. You're on a blogging tear! Great to have you back! it's nice to be back! i'm getting my MFA in "bloggin' about cool crap'.